In our last blog post, we touched on a few of the promotion ideas that you can take advantage of as a restaurant owner. 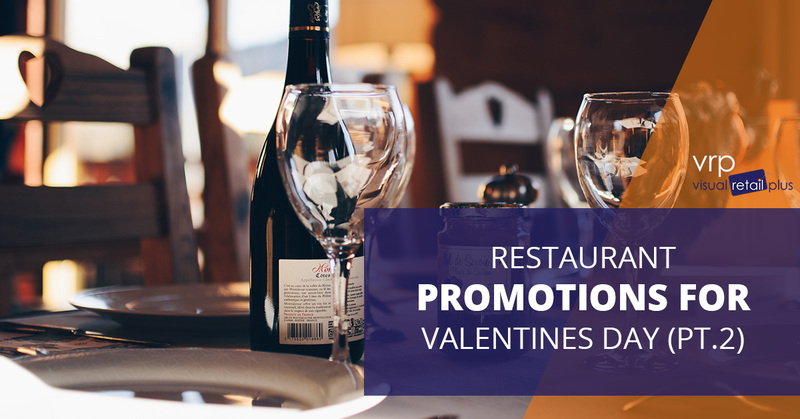 Given that this is such a big day, and we can’t help but love the opportunity to bring in a crowd, we are going to continue to touch on a few ideas that you could take advantage of in your restaurant this Valentine’s Day. Let’s dive right in since the holiday is just a few short weeks away! Whether couples are looking for a quick night out or they’re hopping from one place to the next, happy hour is a great way to spend Valentine’s Day. Not only is it an opportunity to save a little money on this holiday where lots of money is already being dealt out, but it’s a casual time to share a drink and some appetizers before enjoying a big dinner. If happy hour isn’t something that you usually offer at your restaurant, this is the night to do it! Take some of your most popular appetizers and offer them in smaller sizes at a discounted price. Tapas are extremely popular right now, and they give your guests a sample of the delicious food that your restaurant serves. Aside from tasty horderves, you should also have a drink special on display to catch the attention of your customers. Given that love is the reason for celebration, there are lots of fun opportunities in regards to color, ingredients, and names. We can’t help but get excited over the idea of every restaurant serving their very own “love potion” to their guests. Dinner and a show is a great date night, and that’s no different on Valentine’s Day. While there’s no reason to go all out and have a dinner theatre (though that’s not a bad idea if you can make it happen), hiring some entertainment for the night can really take the dinner to the next level. Live music is a fantastic way to make your guests feel all the more special when they come in to dine at your restaurant. Live music is an excellent option in regards to entertainment at a restaurant, and if you are a well-known place to stop in the local area, then you may be able to find a local artist that would be more than willing to play for your customers. At the end of the day, it’s a win-win for both parties and contributes to the atmosphere of Valentine’s Day. While dinner is a great way to celebrate Valentine’s Day, it’s not all about the meal, and it’s important to note that. We talked a little bit about a drink special earlier in the blog post, and while that’s something that we suggest every restaurant with a bar considers, there are other options that could speak better to your crowd and atmosphere that you might want to take advantage of. Hard liquor isn’t always the drink of choice for people when enjoying a meal, so it’s good to have a few alternative choices. Offering wine tasting and beer flights is another great option that can separate your restaurant from others in the area. 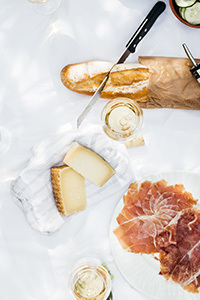 Not only is this a fantastic way to incorporate local wineries and craft beers into your restaurant, but it is an experience that allows a couple to indulge in good wine, tasty beers, and converse over a unique time. If you’re considering doing this, adding cheese plates, small desserts, or fondu options can help make the experience even more unique and intimate. It can also make dinner service a little bit easier to run. Not everyone has a special someone to share the love with on Valentine’s Day, but that doesn’t mean that they aren’t looking for the right person! If you’re looking to take a different approach to Valentine’s day festivities, focusing on singles is always worth trying. Hosting an event that caters to singles is a fun way to share the love of Valentine’s Day without focusing entirely on couples. Whether it’s a speed dating scenario or a cocktail party, you can count on there being an equally large crowd full of people that love, love. Choosing to host this type of event is different from what many other restaurants or bars in the area will be thinking about, but that doesn’t make it any less special. You can count on there being a large audience that this type of event still caters to, and the more fun and exciting that you make this sound, the more appealing it becomes! The team at Visual Retail Plus are small business owners that have had their fair share of experience in promotions and working at drawing a crowd in. We are dedicated to providing the information and software that other business owners need to experience success. The primary way that we’re able to provide our knowledge and guidance to small business owners is through the point of sale software for small businesses that we have designed. If you’re not using an up to date POS system, then you will be amazed at the software that we’ve designed. Created to make running a business all the easier, Visual Retail Plus is a point of sale software that helps you manage inventory, orders, and the like. Contact our team today to get a demo of the software and see how this could optimize the efficiency of your restaurant!